Geneva Henry, the dean of libraries and academic innovation, said that as subscription rates for journals rise, the library’s budget remains about the same. An upward trend in free access to research publications internationally could expand research opportunities for faculty and students at GW, officials said. Open access research has increasingly become available in recent years, changing the face of research at universities nationwide. Academics have said that while some journals have fought to keep up their subscription numbers, a combination of universities dropping costly subscriptions and a European plan to advance open access research by 2020 could push major research journals to waive their fees. At GW, officials said an increase in open access policies would allow GW Libraries to provide students and faculty with a greater variety of research journals and spend less money on access to publications. Geneva Henry, the dean of libraries and academic innovation, said that every year she has to cut the number of research journals GW Libraries subscribes to because subscription rates often increase by 7 to 8 percent each year. Henry said that as subscription rates for journals rise, the library’s budget remains about the same. If more journals were open access, the library could afford to pay for more journals that require a subscription, she said. She declined to say how much money is allocated toward journal subscriptions each year. “It’s at a point now where more people aware of it and must have a realization of how unsustainable it is to keep up this model of having to subscribe to very expensive journals,” Henry said. Henry said she supports open access research, especially when the publications are federally funded. The National Institutes of Health moved to an open access policy in 2008. Henry said open access research can also provide a study with “more eyes” to identify any problems with the research, in addition to having the research go through a peer review process. She said open access policies could also allow researchers to verify that a research project they are hoping to pursue has not already been attempted in the past. “If there is a problem with the research, it is more readily identified with the more eyes you have looking at it,” she said. Henry said the open access movement began in 2003 with the Berlin Declaration on Open Access to Knowledge in the Sciences and Humanities, an international statement that promotes open access to research content online. 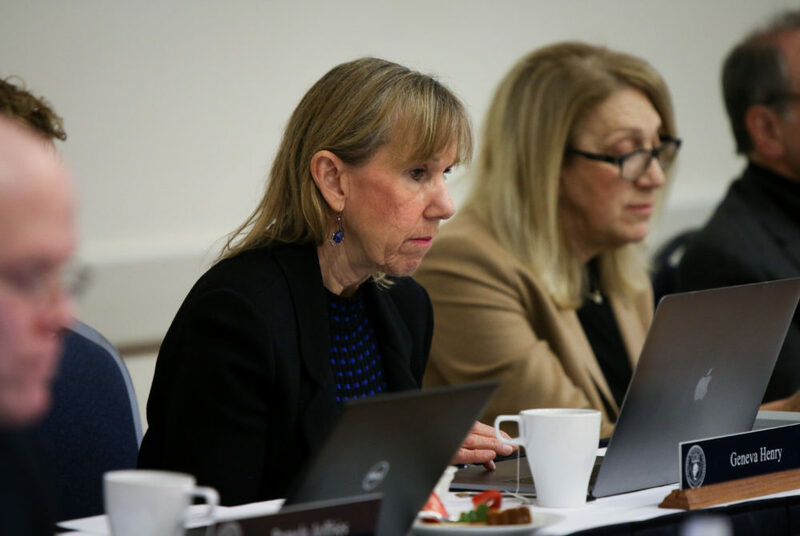 The Faculty Senate voted in favor of an open access policy in February 2015. At the time, some faculty hesitated to support the policy, saying it would have added barriers hampering professors from publishing in journals that own the copyright to the scholarly works. But the resolution passed 12 to 11 at the Faculty Senate meeting four years ago, and the University launched ScholarSpace – an open access research repository – in 2015. Faculty said an increase in open access research enables professors to reach a wider audience of individuals who might not be able to afford publications otherwise. But some said open access policies may allow for the spread of low-quality research because the submissions oftentimes receive a less thorough peer review when they are not published in reputable journals. Zurab Nadareishvili, an associate professor of neurology, said open access allows for some studies to be published that otherwise would have been abandoned by well-known research journals with pricey subscriptions. He said journals with paid subscriptions tend to have high standards and only select a small percentage of the research submissions they receive. “That kind of research is published more frequently rather than 20 years ago, but the downside is that you may see also a low quality of research published in those journals,” he said. Nadareishvili said that even with a push for open access policies, faculty will still be more inclined to submit their research to well-known journals with subscriptions because the journals have a greater sense of recognition in academic circles. Still, some faculty said the lack of a paywall will not compromise the integrity of the research. Murray Loew, a professor of biomedical engineering, said open access policies help produce a greater wealth of knowledge for students and researchers. He said that even if access to research does not cost money, the free journals could be supported by volunteer staff who “do it out of love for the scientific community” and still evaluate research with the same amount of rigor as a paid subscription journal. Leah Potter and Meredith Roaten contributed reporting. This article appeared in the February 28, 2019 issue of the Hatchet.